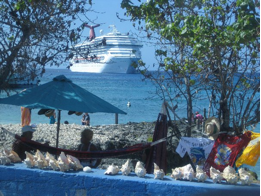 I have never been on a cruise, but our guest blogger: Katie Schmeer has been on a bunch. If you're thinking of cruising away on your next vacay make sure you tune in to Katie's 'Cruising 101' series for The Hip & Urban Girl's Guide. Here's her first post on Rooms & Service. While I’m not one of those people you meet who has been on 25+ cruises, I do consider myself to be something of an ‘experienced’ cruiser. I have been on six cruises to date, including several Caribbean cruises, one around the Hawaiian Islands and one through the Panama Canal. Before you decide you want to book a cruise, there is a ton of research to do. I can hopefully give you some basics, as I break down what to expect on your general cruise, and ways to save money. 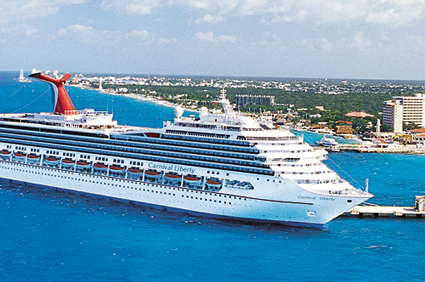 I’ll also look at some of the major cruise lines and some popular cruising destinations. 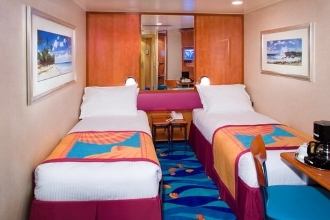 When booking a cruise you’ll see there are many different room options to choose from. In most cases the rooms that are on lower floors, are cheaper. Lower rooms don’t have balconies, although some have small, porthole-like windows (and no they are not underwater…I get that question a lot). 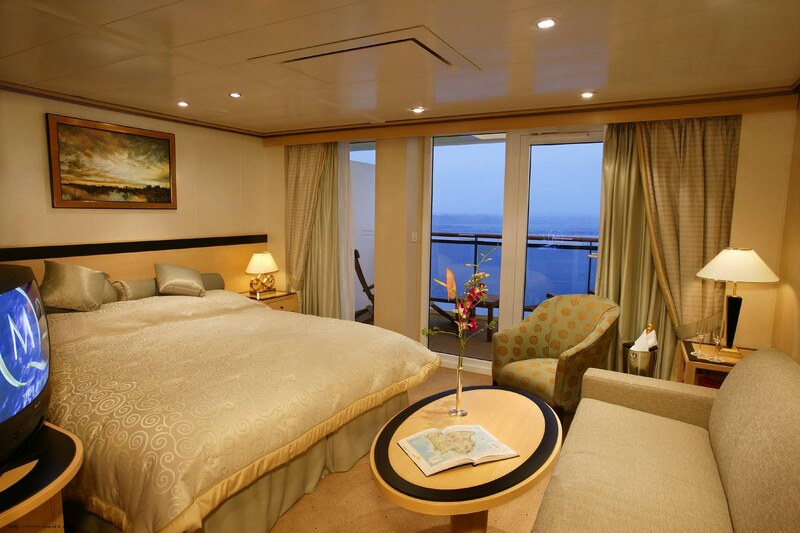 In many cases, rooms on the lower levels are further away from the amenities, which are usually on the upper levels and they are often closer to where you disembark on offshore days, which means more traffic through those halls. However, this isn’t always the case and if you are looking to save some money, this is an easy way to do it. I am often asked about the comparison of balcony cabins versus inside cabins. Inside cabins have no windows at all and are completely dark when the lights are out. 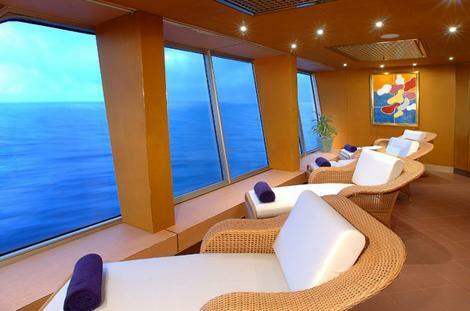 Balcony cabins have a walk-out, are equipped with lawn chairs and provide lots of natural light. Inside cabins are cheaper, but are usually quite well appointed. You are probably not planning on spending too much time in your room and unless you are claustrophobic when you’re in dark spaces, this is a great way to save money when booking a cruise. Cruise lines are really excellent at making a small space work well. Rooms can often accommodate 3-4 people where beds can be separated or a bunk bed added and sometimes they have pull out sofas. Families with younger children can often group everyone into one room, as an economical solution - assuming they don’t mind being a little cramped. Depending on how old the cruise ship is, you may find yourself almost showering over the toilet, but generally speaking, cruises do a good job with a small space. There is a television set in each cabin and “cruise TV” which means that you’ll usually have a few basic channels, likely a news channel, cartoons, a few movies that will play in a loop and some random channel that will feature a lot of reality TV, along with a few channels that will show you the deck and weather outside, shopping tips for ports, etc. During your first evening on the cruise, you’ll likely have an introduction from the attendant that will be responsible for cleaning your room. Cruises that travel internationally can hire internationally, whereas cruises that stay in North America (Hawaii for example), can only hire from the States. This makes a big difference in the type of service you receive. During my Hawaiian cruise, it felt like the cruise was being attended by a lot of disgruntled college students, all of the other cruises I have been on have had excellent service, by people who consider this to be a career. Check back with us next week for more from our Cruising 101 series! I am going to really enjoy this series on cruising. I have not been on a cruise and I am very hesitant to try one. I think this post and future posts will make me more knowledgeable to make a proper decision. At least I will know how to research beforehand booking one. Make sure you keep tuning in. I'll eventually go into what different cruise lines are known for and destinations. If you have any questions please ask in the comments section and I can respond!